OUR PRICE: $28.84 - Join Rewards Get $1 Dance Dollars On This Item! 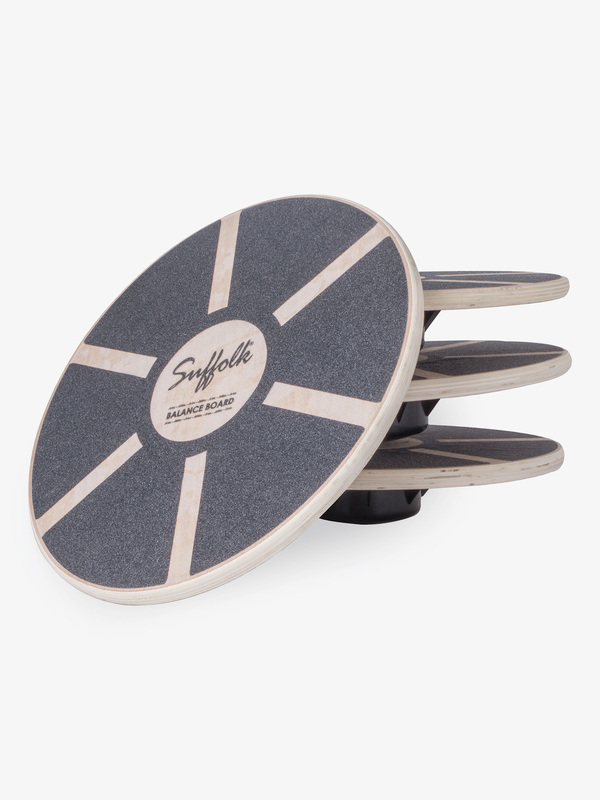 Improve core strength and balance with Suffolk's balance board. Board is skid-resistant, and made of wood material with a plastic balance dome. Also makes the perfect gift for dancers. This board is amazing! I bought it recently and began using it as soon as soon I received it! I use this board daily and have noticed a huge difference. I am not a natural turner, it took me over two years to get a semi-consistent double and, now, I am getting more consistent triples! I am so happy with my balance board and am noticing a huge difference in my turns and my pointe work. This board truly works the intrinsic muscles in the feet, legs, and glutes.